We get the scoop on drifting legend Keiichi Tsuchiya, from teenage tearaway to Drift King. 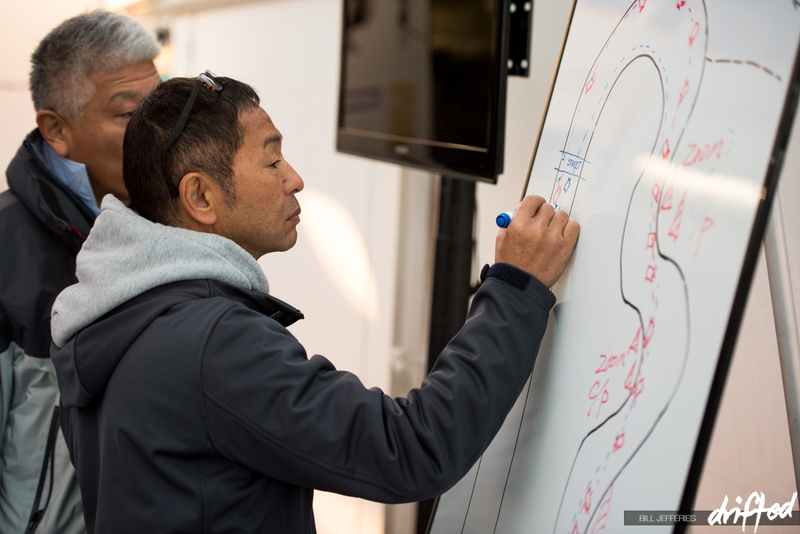 Read our exclusive Keiichi Tsuchiya feature. The Drift King may be a retired from racing but we see no sign of Keiichi Tsuchiya stepping back from the international drifting scene that he created. In fact, our drifting sources have spotted him at major drifting events in Europe lately, including King of Europe (KoE) ProSeries rounds in Anneau du Rhin, France, at the Swiss Circuit de Lignières, and Oschersleben in Germany. As drifting devotees, we only see evidence of the Drift King’s unfailing commitment to the high-speed sport. Despite his infamous status, he remains a smokin’ hot advocate of drifting. So, why are we, and other drifting fans, so into this guy? What has he done to earn our reverence and, yes let’s go there, our love? Keiichi was determined to succeed, right from his early drifting days. Despite his lack of wealth to fund his passion, he dedicated himself to touge running in the 1970s, grabbing the attention of fellow street racers – or hashiriya. The snow-covered bends of the Japanese mountain roads gave Keiichi plenty of opportunity to hone what were to become his unique racing skills. It is rumored that the character Takumi from the hit Japanese Anime ‘Initial D’ was based around Keiichi. Keiichi was inspired by his own hero, Kunimitsu Takahashi, a former racing professional known for tail slides on the track. Whilst on the roads, he’d push himself and the capability of his cars, taking his tactics to a new, thrilling level. As an ambitious street racer pulling moves that nobody had seen before, Keiichi quickly gathered an underground following. When he became a pro’ racer, he took his oversteer slide on to the track, injecting more excitement for racing spectators. Although his freshman licence was suspended for his sensational but illegal moves, he’d introduced drifting to official racing, giving the sport legitimacy. For this, Keiichi was crowned the ‘Drift King’. Keiichi’s heroism was about to go stratospheric. In 1987 he was caught on film in his AE86. Known as ‘Plupsy’, the video is a classic among fans and has even been the inspiration of today’s best drifters. And you know that Japanese animation we mentioned earlier? Well, it was that hugely popular 90s Anime series, apparently based on Keiichi’s early drifting years, which also fuelled his reputation as a rebellious spirit. Fancy yourself as the new Drift King? Test your mettle against AI and other players with our drifting games and driving games. Now in his 60s, the Drift King had an illustrious racing career spanning more than a quarter of a century, and covering contests like the All Japan Touring Car Championship, Toyota Cup and All Japan GT Championship. Yet, his proudest achievement was reportedly at LeMans 24 hours in 1995. The street driving in his youth probably contributed to his night-time racing speed, which helped him to win his class and finish second overall. Over the years, he’s driven the Toyota Supra GT500, Porsche 911 GT1 and Honda NSX GT500. But we’ve heard he’s still got a soft spot for his old togue driving car, the 1986 Toyota AE86. In another interview in 2012, Keiichi said he was driving a “fantastic” 1.8-litre engine with 180bhp. 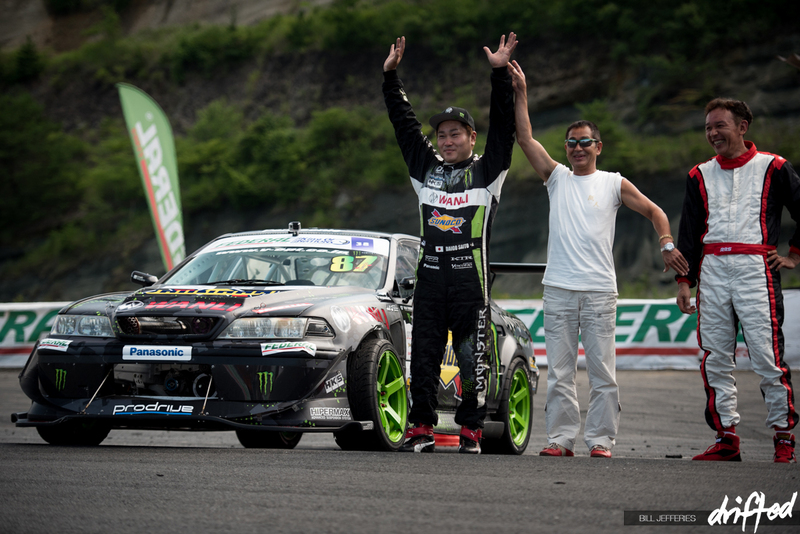 But what we drifting fans really thank Keiichi for is the Drift 1 Grand Prix’ series (D1GP). 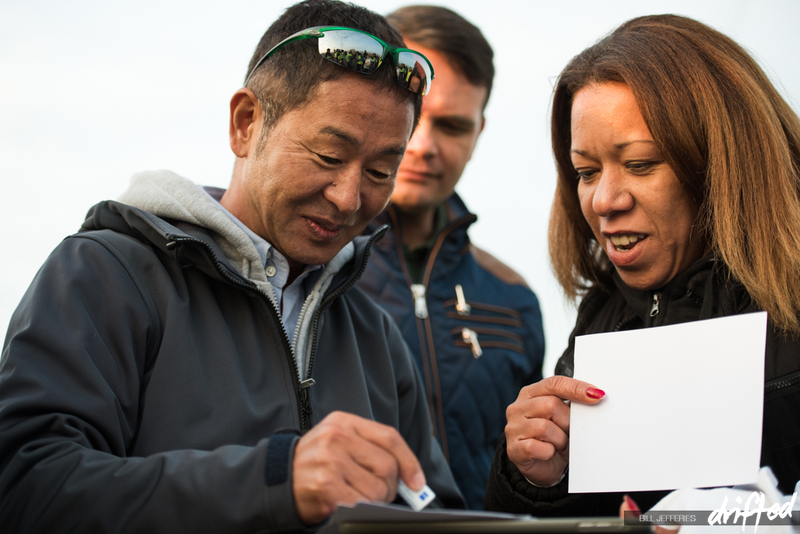 Started in Japan with Daijiro Inada – founder of Option magazine and Tokyo Auto Salon. D1GP is now an international series, which has brought drifting to the masses and produced famous drivers. Still plenty of fuel in this engine! Although the Drift King retired from racing in 2003, he still promotes drifting with enduring passion. 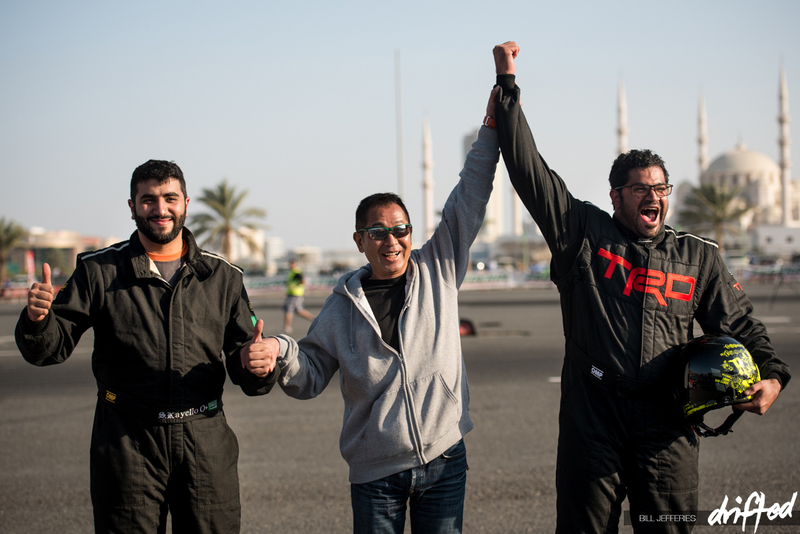 The energy he once burnt out on the track is now used to train younger drivers and promote drifting globally. He’s even worked as the stunt coordinator and stunt man for the movie Fast and Furious: Tokyo Drift in 2006. If, by the rarest of chances, you haven’t seen it yet watch out for his cameo as a fisherman. In 2010, both Keiichi and Daijiro moved from D1 GP to set up the Drift Muscle series. Aimed at a similar audience as D1 SL, classes are chosen according to driver skill, not car power. So, no, we see no evidence of this legend quitting from the scene any time soon. For this, we’re truly thankful. 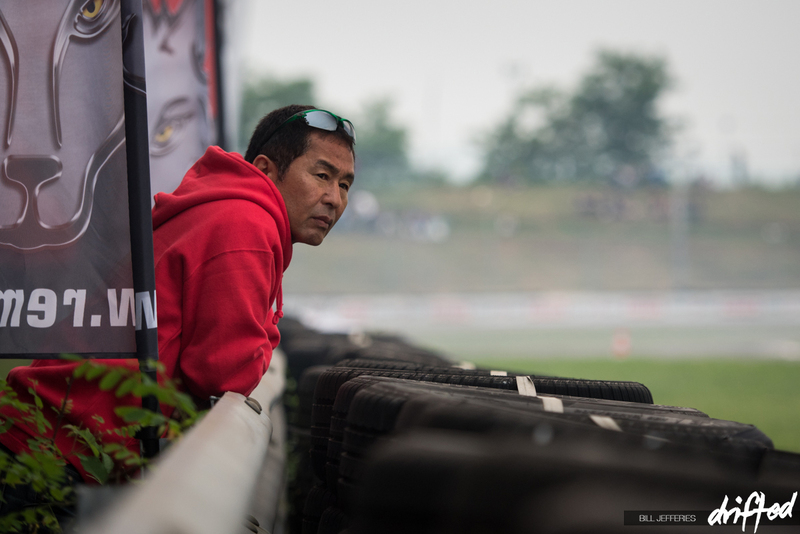 We want this guy steering the drifting world for a long time yet. What next for the Drift King and drifting? In 2004, Keiichi predicted in an interview that people were tired of nice, clean Japanese drifting. Fans wanted something “more thrilling and dangerous”. Of course, he was right. We’ve seen feature videos involving drifting from brands such as Ken Block’s sensational Gymkhana series to prove it. There’s a massive global appetite for the riskier side of drifting. YouTube alone has plenty of amateur-filmed street drifting videos that attract huge numbers of views – especially when something goes wrong. As for the king himself, we’re excited about what influence he’ll have next on the drifting culture as it grows roots in more countries. Maybe we’ll see a prince – or princess – worthy of inheriting Keiichi’s title. It could be someone he’s been working with or an unknown street racer who has learned from afar. Or maybe drifting has now reached so many people, we’re ready for a whole royal family of drifting to emerge. Our drifting contacts will keep us in the loop on Drift King appearances. Sign up to the Drifted newsletter to be among the first to get the latest. During our research on Keiichi-san we came across these eight fantastic quotes that we think you will enjoy. Do you fancy your chances as the next Drift King? Prove your skills by beating Drift Hunters. At the tail end of 2016 Keiichi Tsuchiya released a video giving a complete run down on his own personalised AE86. He then compares his heavily customised Hachi Ruke with the latest Toyota GT86 sports car. If you like reading about Keiichi you may want to check out the Drift Bible. Here is the description: Keiichi ‘Drift King’ Tsuchiya takes presents a clear and precise tutorial of how to e-brake, shift lock, power over, brake, feint and lift off. He shows how to drift using cars with different characteristics and describes the mods that are necessary to drift. King Of Drift unblocked game – Are you the real Drift King? Keiichi loves to keep his cars clean, so if you want to follow in his footsteps you should take a look at this best car vacuum comparison over at Automotivespaces.com. « Mad Mike Whiddet #ConquerTheCape released!